Remodeling A Bathroom: The Process - C.C. Dietz, Inc.
Let us walk you through the process of remodeling your bathroom. When it comes to remodeling your York County bathroom, there is a lot to consider. In fact, knowing what to expect is the first step in easing the stress and overwhelm associated with a bathroom remodel. Here are the important things to remember when it comes to remodeling your next bathroom. Meeting with your designer is always the first step to getting the bathroom of your dreams. In fact, you’ll want to do some research to determine who would be the best fit to design the bathroom for your home. The designer needs to learn about what you like. They’ll want to really know what features you absolutely dislike and what your budget is. From there, a plan is created to give the homeowner exactly what they want. Once the homeowner is happy with the plans as they are drawn out, the design process begins. Homeowners end up taking a backseat when it comes to installing appliances and other key features in their home. In fact, this is where the professionals really come into play. Having a tam behind you, that is on your side, wanting to create the ultimate oasis for you and your family is what every homeowner wants when designing their perfect bathroom. As a result, there is a lot that needs to be discussed in terms of a bathroom remodel. Many homeowners are constantly concerned about the timelines associated with a bathroom design project. In fact, when it comes to a bathroom remodel, the thing that many homeowners want to know is how long the actual remodel will ultimately take. Project length typically depends on the complexity and size of the job itself. 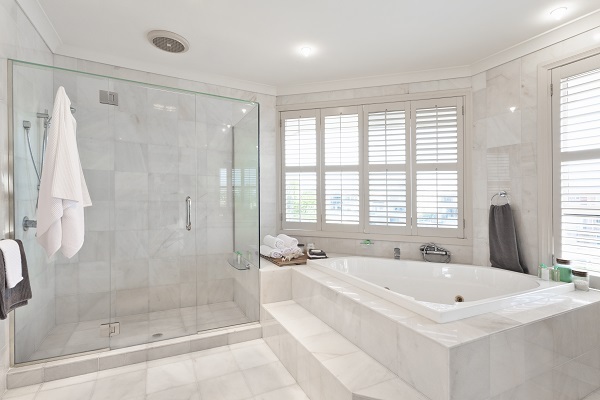 Some things to consider would be the age of the home, the size of the project, any potential moving bathroom features, and any inspections that would be necessary to ensure that everything is going smoothly and your bathroom is safe to use. If you are thinking of building or remodeling your dream home in the York County region, what better place to begin than the start of a new year? Our team of experts will assist you throughout the entire process, and we are ready to answer any questions that you may have. If you’re eager to customize your dream kitchen, renovate your bathroom, or build your dream home from the ground up, let us be your choice for beautiful, quality work backed by a reputation of excellence and five generations of expertise. Are you ready to talk? We’re happy to meet with you! Schedule a free consultation with us today, or contact us at 717-755-1921 or visit us online. For more fun remodeling tips, follow us on Facebook,Twitter, Pinterest, and Google+. This entry was posted on Tuesday, February 5th, 2019	at 2:25 pm	and is filed under Bathroom Remodeling . You can follow any responses to this entry through the RSS 2.0 feed. Both comments and pings are currently closed.